Yamaha Marine will broaden its propeller offerings, adding a variety of pitches, diameters and designs to meet the needs of the growing application potential for its outboards. The three new propeller lines are constructed of stainless steel and will be available to boatbuilders and dealers later this year. The XL4 line is designed for Yamaha’s F350 and F300 outboards. The four-blade propellers offer outstanding acceleration, quick planing and improved “grip” to help maintain plane at lower speeds and help eliminate ventilation, particularly in turns and following seas, according to Yamaha. They initially will be offered in 17-inch and 19-inch pitches and are available in right- and left-hand rotation. 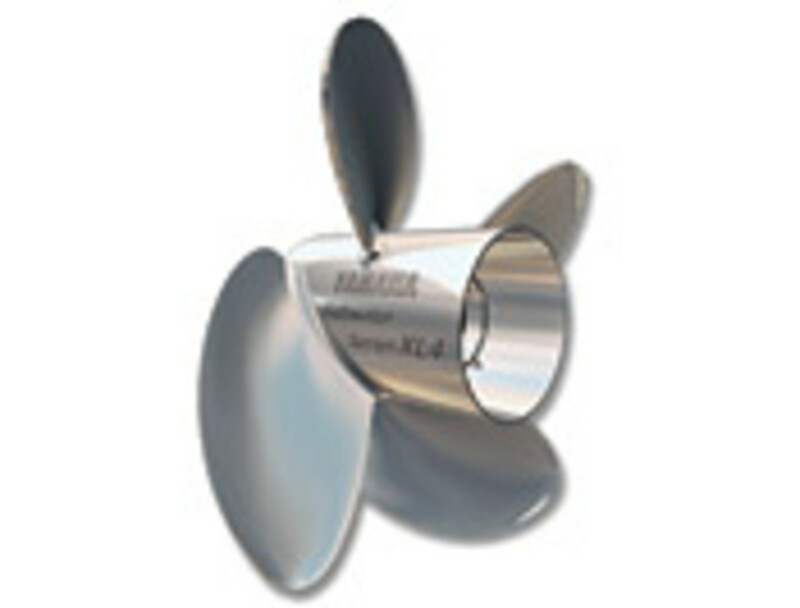 The HS4 “High Seas” line of four-blade propellers is designed for V6 4-stroke and 200- to 300-hp 2-stroke applications and initially will be offered in 21-inch, 22-inch, and 23-inch pitches in right- and left-hand rotation. Finally, Yamaha’s new Pontoon Performance Series has more blade area and helps provide the thrust and control needed by today’s larger pontoon boats, according to the company. These propellers feature additional ‘cup’ on the blades to help add grip and eliminate ventilation in turns. They will be available in 9-, 10-, 11-, 12- and 13-inch pitches. Suggested retail price for the pontoon line is $420. The HS4 and XL4 are not yet priced. Visit www.yamaha-motor.com/outboard.